LEGO has made some modifications to its Batman LEGO line for Dark Knight Rises, giving us two new minifigs based on characters from the film. 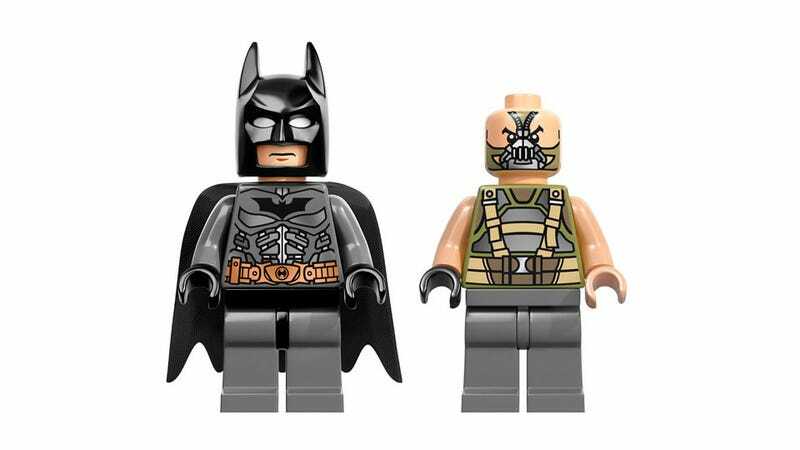 There's a Batman and a Bane, both sporting their outfits from Chris Nolan's movie instead of the more nondescript digs previous LEGO versions of the characters have worn. There's also a Gordon. In case you ever wanted a little LEGO Gary Oldman.